More about iittala Toikka MOG Puffin The limited edition, numbered iittala Toikka MOG Puffin has just flow in, and yes, puffins can fly! Numbers of this beautiful species are declining in nature, and fittingly, only 300 of these stunning birds have been created in commemoration. The smooth silhouette of its towering body is simple in white and black for a modern, minimal look. Just like its real-life counterpart, the real showstopper is its beak. Comically large in size with red and yellow stripes, this defining characteristic lends puffins the endearing nickname "clowns of the sea." 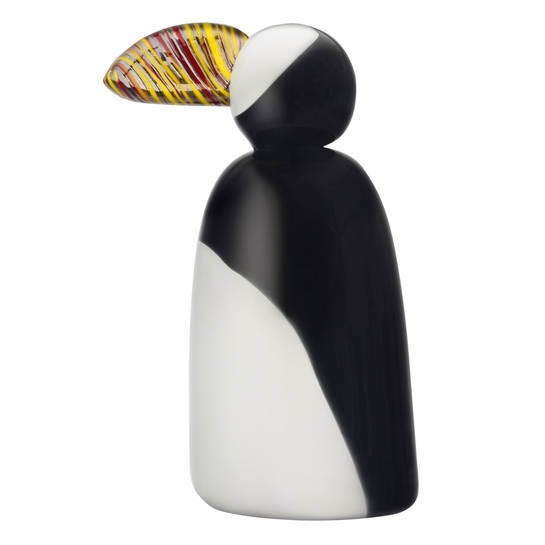 Let the puffin be the kooky beauty of your flock, or gift it to a loved one to remind them that it's a good thing to stand out. 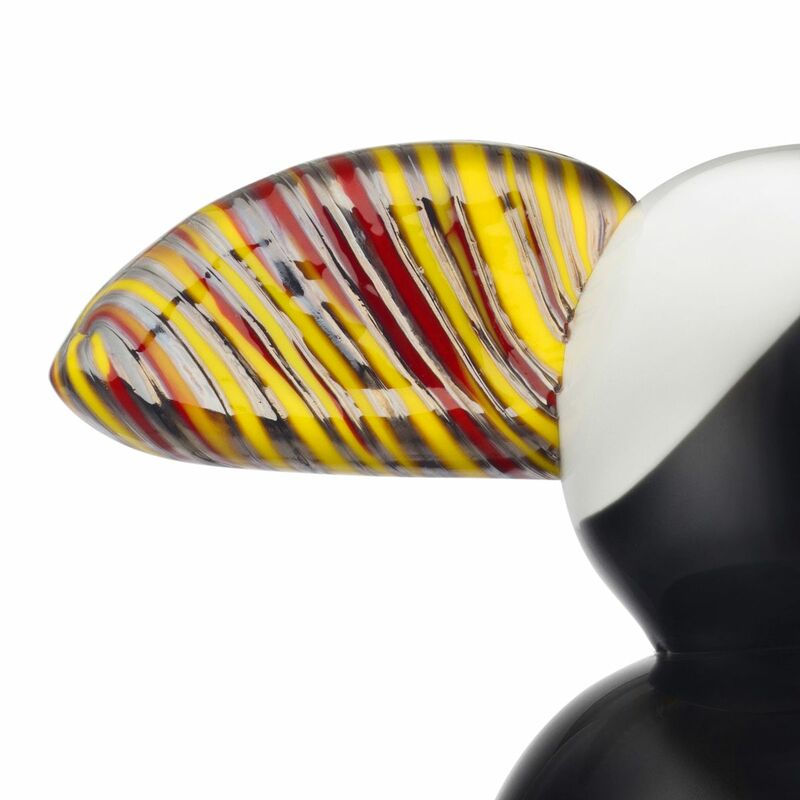 Each limited edition iittala Museum of Glass Toikka Puffin has been specially engraved O. Toikka IITTALA MOG 2018 and numbered x/300 on its base to ensure authenticity and remind you of its special origin.